It’s best-selling! For many buyers, the 2018 Chevy Cruze is the perfect machine. With a $30,195 starting MSRP, many customers believe they cannot find a better value when shopping for a sedan. 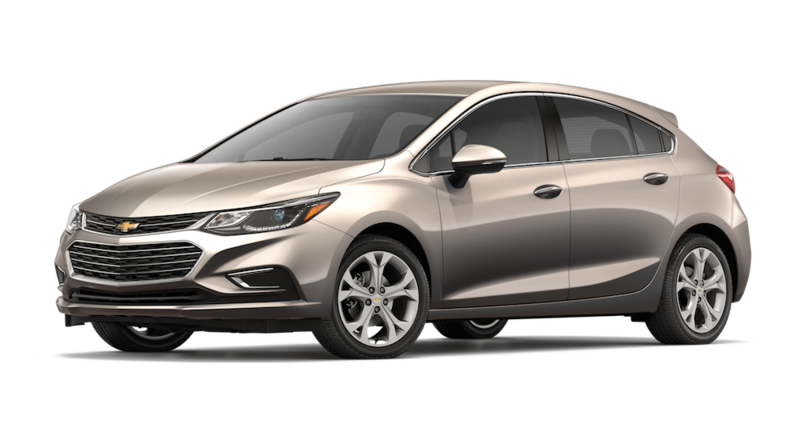 At Carl Black Nashville we understand exactly what the 2018 Chevy Cruze has to offer. It’s spacious, stylish, powerful, and fully equipped. Not to mention that a 2018 Chevy Cruze simply costs less than other sedans. Can you imagine sitting in those comfortable heated seats or listening for the difference between the diesel and gas engines? How exciting would it be to have a car with all these features that is still top-rated in fuel efficiency? The 2018 Cruze is just one of the many exciting, affordable cars here at Carl Black Chevrolet of Nashville. We have an established facility with highly qualified, professional staff. It is our pleasure to commit to finding you the best vehicle, and that starts the minute we meet you face to face. Our professional dealers are nothing but friendly and want to prioritize your specific requirements for your next vehicle purchase. The 2018 Chevy Cruze is fully equipped and has four trims to choose from L, LS, LT, and Premier. Keep in mind that the hatchback comes in LT and Premier. You can even score two upgrade packages: RS and Redline Edition for an even sportier drive and feel. Can you imagine owning the most recent edition of the sportiest sedans on the market? With LED signature lighting and smart alloy wheels, heated front seats, and a heated steering wheel, you have everything you need for a fun, comfortable drive. Standard features include the very popular, and very necessary rear vision camera, and keyless entry. You will feel very safe in your Cruze. There are plenty of safety features that go beyond mere comfort. And if you are tech-minded, the Cruze has the features you are looking for. The 2018 Chevy Cruze has several high-tech, luxury-adjacent features such as push-button start, remote start, and an eight-way power-adjustable driver’s seat. Top-of-the-line technology updates including Teen Driver mode, allows parents to set limits. They can put a default on for audio volume and set speed alerts to ensure better driving. They can even be sent a report card of their teen’s driving habits. You could now also add a rear-seat USB port in certain models and an upscale 7.0-inch touchscreen infotainment system with Bluetooth and Apple CarPlay. These also have Android Auto compatibility. Standard features in the 2018 Chevy Cruze LT hatchback include cruise control and tire-pressure display. So, what is more, fun to drive than a fun get around that is spacious, stylish, with a luxurious look? One that is fast too! And that’s what is so exciting about the Chevy Cruze. There’s nothing like sitting behind the wheel of a car and listening to the engine purr. Even if you are driving back and forth to work or to the grocery store, it’ll still be fun to speed around in. Passing other cars on the highway won’t be difficult either. The 2018 Chevy Cruze has two engines to choose from: a four-cylinder gasoline motor or the 1.6-liter turbo-diesel. The turbo-diesel is really what makes this car go! The horsepower is unbelievable by sedan standards. Starting at 137 and up to 153 hp. It’s not just an automatic either! If shifting gears is your thing, you can get the six-speed manual box. This car is aerodynamic and lightweight, which is one of the reasons the turbo helps it move quickly, the way a speedy get-around should. The fuel tank capacity is 13.5 to 13.7 gallons. The gas mileage is a huge seller, up to 31 city / 47 highway. This is on the level of a much more expensive hybrid or electric vehicle! Another way that the 2018 Chevy Cruze is cutting-edge. You won’t just be driving a typical sedan; you will be driving a sporty state-of-the-art machine. The 325 Nm makes it a lot of fun to drive, and it’s smooth and quiet too. The look of the 2018 Chevy Cruze is considered sharp and efficient, with an aerodynamic look that is also eye-catching. The exterior looks like a well-cut suit. The roofline is smooth, and the truck lid is shorter, so even in the sedan model, it looks like you are driving in style! All of its typical markings, including the bowtie badge and upper grille blends into narrow headlights. Door-handles are raised too, making for a sharper more luxurious look. Imagine what your 2018 Chevy Cruze would look like in their new exterior color called Satin Steel Metallic – the newest exterior color, turning a lot of heads. Hatchbacks are a great option because they give you so much space for your belongings. After folding the seats down, you get even more space! Typical sedans do not have nearly as much roominess for your cargo. But beyond how much room you have to store, you have even more spacious comfort in the cabin. The 2018 Chevy Cruze is called “compact,” but it is anything but. The dimensions are unbelievable! The length and width are something that will startle you: 175-184″ L x 71″ W x 57-58″ H. It’s small and sleek from the outside, while the inside is roomy enough for five adults. The 2018 Chevy Cruze has an amazing cargo volume: 13.9 to 22.7 ft³, 47.2 ft³ with seat area included. Sedans now even have lots of room in the back seat for more than two people. There is a ton of legroom both in the front and rear. There is also plenty of headroom, even in the hatchback. Fear not, you, your friends and family, and all of your belongings will fit with room to spare. At Carl Black Chevrolet of Nashville, we make you our top-priority, giving you the best shopping experience that is as pleasant and easy as possible. Carl Black Chevrolet of Nashville has a great inventory of high-quality vehicles from top automakers. We put each vehicle through a stringent inspection process. We want the quality to outshine the rest. Our main goal is always to put you first and to help you find the right financing terms for your needs, and especially for your tight budget. We want to help you afford the car of your dreams. 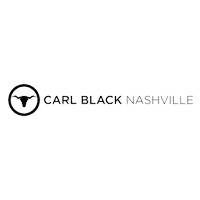 At Carl Black Chevrolet of Nashville, we believe in the most excellent customer service, and we never shy away from it, even once you’ve purchased one of our vehicles. Visit us at 535 Murfreesboro Road in Nashville and meet with a member of our team. We look forward to helping you!